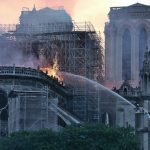 France’s Prime Minister Édouard Philippe has announced an international architectural competition to redesign the roofline of the Notre Dame Cathedral in Paris after a massive fire destroyed the oak-beamed structure and collapsed its spire. 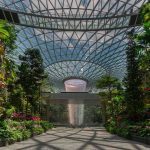 Singapore’s hotly anticipated Jewel Changi Airport, featuring the world’s tallest indoor waterfall, is officially open. To keep up with the company’s growing customer base, SKS Bottle & Packaging required a larger facility. 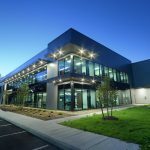 To minimize interruption of services, the 13,006 m2 (140,000 sf) office and warehouse was constructed with insulated metal panels (IMPs). 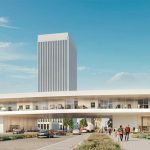 Swiss architect Peter Zumthor has revised his design plans for the Los Angeles County Museum of Art’s (LACMA’s) new campus. 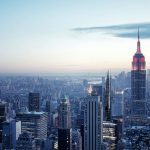 Renderings reveal the proposed building size has been scaled down to 32,284 m2 (347,500 sf), and the maximum height has also been reduced.